Zoom down to Bottura during the Singapore Grand Prix weekend for a taste of delightful Italian fare from Bologna with its limited edition set menu. Get revved up for high octane action and glamour this Formula One season as the supercars, hot drivers and hotter parties roll into town. But before you do, fuel up for the festivities with an indulgent Italian meal at BOTTURA, conveniently located in Suntec City, right in the heart of the Marina Bay Street Circuit. Owner Luca Bottura has specially designed a limited edition premium Formula One set menu, made with exquisite ingredients from Italy, and freshly prepared by hand in BOTTURA’s kitchen to deliver top-notch quality. Savour it before it races out of town! Fazzolletto: A unique Italian picnic basket starter featuring a salad of olives, bufala mozzarella, cherry tomatoes, and pine nuts wrapped in a Parma Ham “handkerchief”. 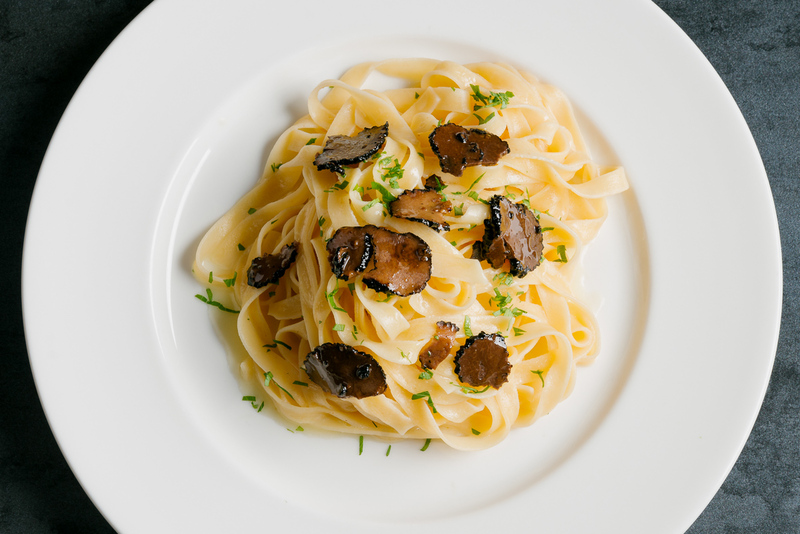 Tagliatelle porcini e tartufo: The ultimate in indulgence – handmade tagliatelle pasta, coated in a rich porcini mushroom cream sauce, and finished with a generous topping of freshly shaved fragrant truffle. Choice of: Prosecco (sparkling white), Lambrusco (sparkling red), Chianti (red) or Pignoletto (white).